Members of BOA spent the (very warm) last Saturday of July in Oxford, gaining access to the stunning new Dobson in the chapel of Merton College that was the subject of Organ of the Month 143 following its inaugural recital last April. 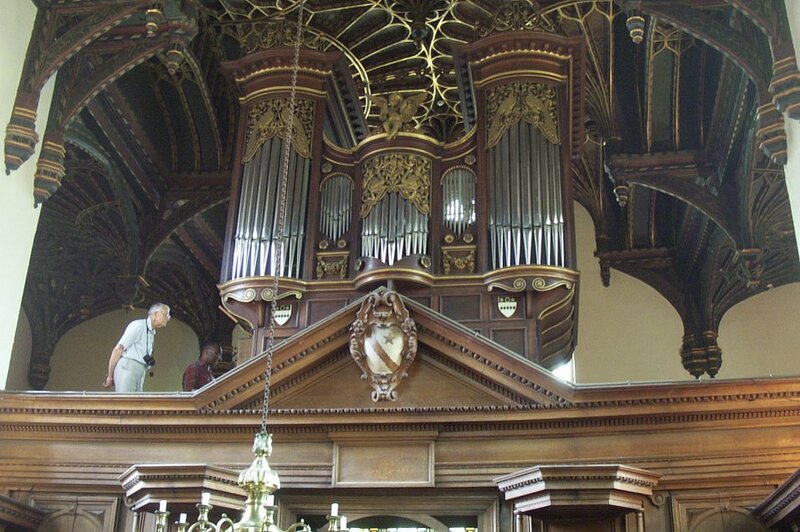 But during the afternoon we were able to visit a smaller instrument in the chapel of nearby Brasenose College, rebuilt by Norwich-based Richard Bower. 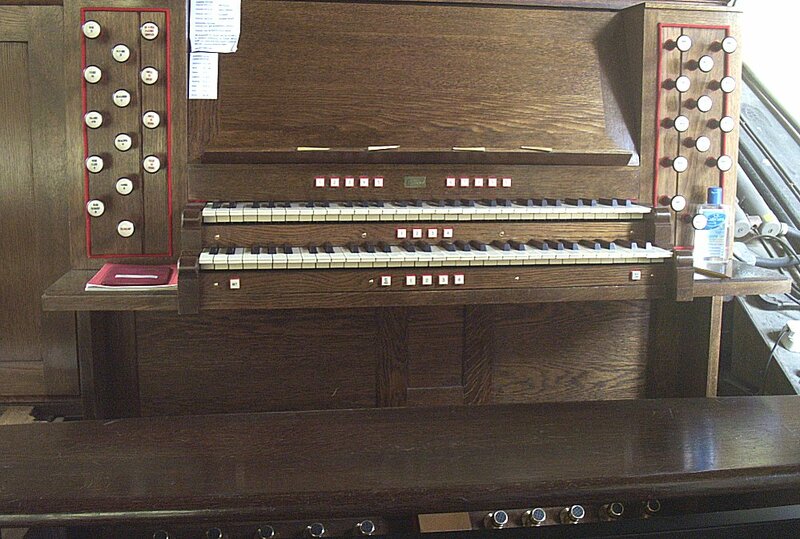 Pipework from the previous (1972) organ by Peter Collins was incorporated in the new instrument together with three new stops. 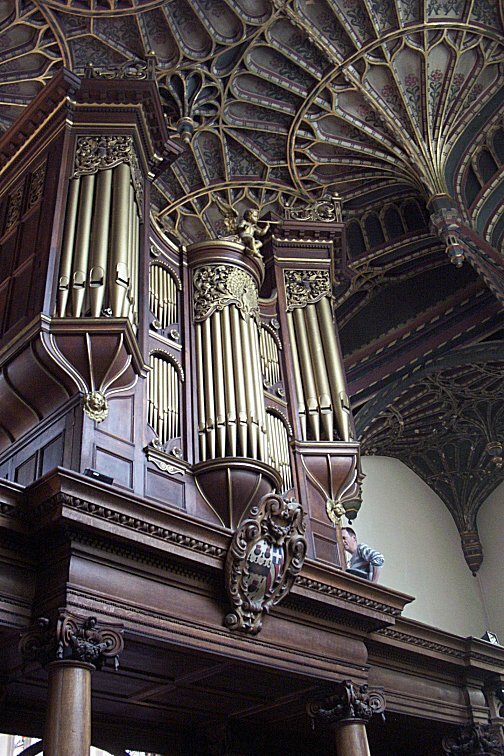 Housed in the same (1893) baroque case by Sir Thomas Jackson as previous instruments, the new organ has tracker action, flat stop jambs, a straight concave pedalboard and "open-foot" voicing. Naturally suited to music of the 17th & 18th centuries, this was ably demonstrated by two of our members playing pieces by Couperin & Bach.